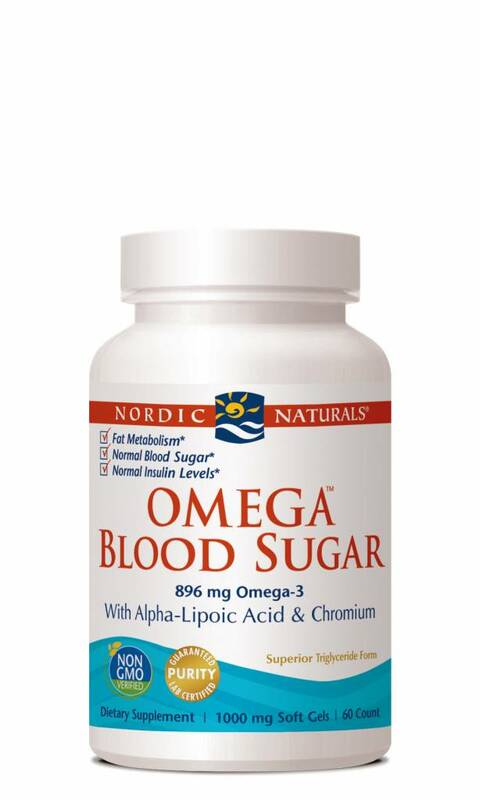 Omega Blood Sugar™ is a synergistic blend of high-intensity omega-3 for normal body composition and fat metabolism, Alpha-Lipoic Acid for antioxidant effects and Chromium to support normal glucose levels as part of a healthy diet. Wild caught. Pure. No fishy aftertaste. Friend of the Sea certified. 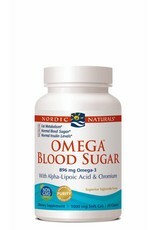 Suggested Use: Two soft gels daily, with food or as directed by your health care professional or pharmacist. Store in a cool, dry place, away from sunlight. Do not take if temper-evident seal is broken or missing. Protected by U.S. patent #s 6346231 & 6641837. Keep out of reach of children. 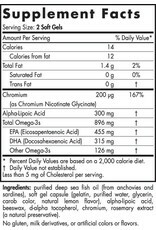 Nordic Naturals products are never sold under any store brand. 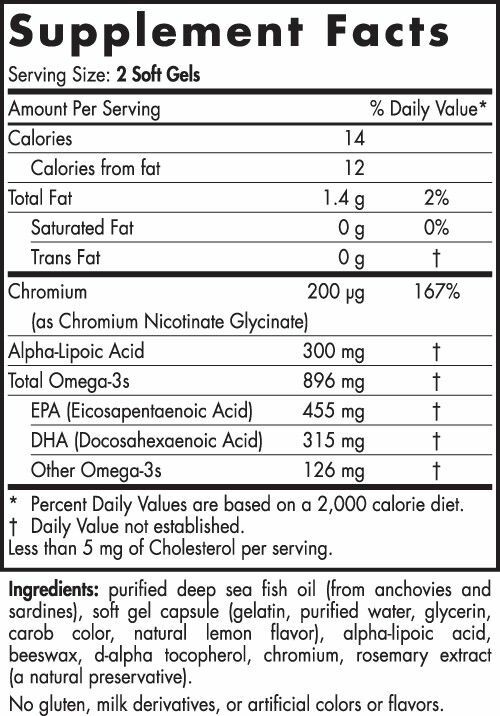 Warning: Consult with your physician before using this product if you are allergic to iodine, use blood thinners, or anticipate surgery.